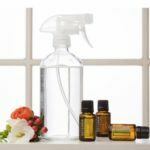 Would you like to learn how to reduce the toxins and bad chemicals in your life to provide a safe, clean, healthy environment for yourself and your family? Then come along to this workshop to learn just what's in the cleaning products you buy, how they affect your health, and make some simple, all-natural cleaning products to take home. TAKE HOME all containers, ingredients, labels and a recipe booklet for cleaning solutions using safe, simple and effective ingredients. Cost is $35 and includes all containers, ingredients, labels and a recipe booklet. Additonal containers will be available for purchase at the workshop. Cash or credit card accepted or book via the Eventbrite link here. Refreshments will be served. Please advise any dietary requirements here. Note: This event is not suitable for children; however, nursing mothers are welcome. Further information, FAQs, terms and conditions can be found on the Eventbrite page here. If you have any questions, or wish to provide dietary requirements, please contact me here. Find out when the next workshop is being held or to book in click here.